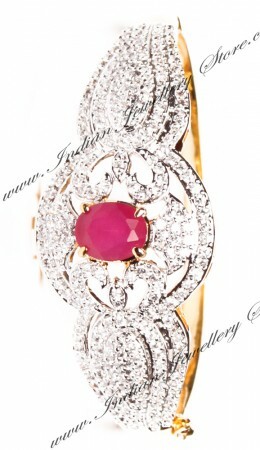 One Indian bracelet / bangle in gold plated with accents of rhodium (silver colour) plate & ruby red/pink. Set with Fine American Diamonds stones. Bracelet decoration width in (aprox max): 2.6cm. 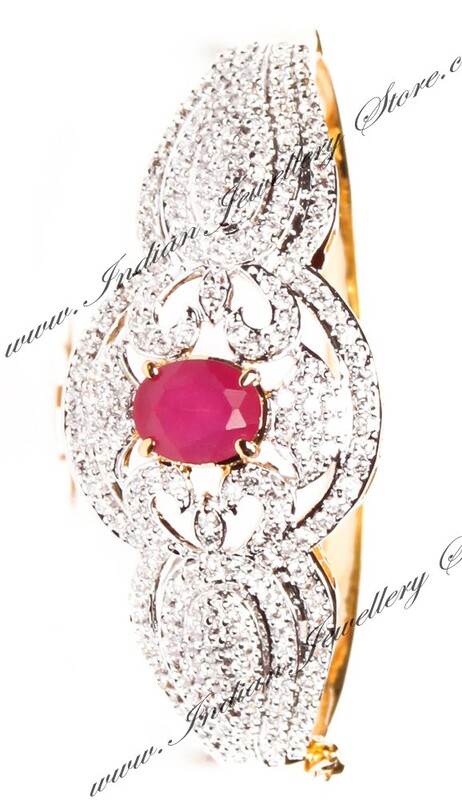 Bangle inner circumference (oval around size): 15.3cm aprox. Indian bracelet opens with claps so only needs to fit wrist. Other colours available - see below. Scale shown in image is in cm.